The best Cyber Monday 2018 prices on Nintendo Switch consoles, PS4 Pro, Xbox One X, PC hardware, memory cards, and more. It's the Cyber Monday game deals mega hub. If you thought the video game deals were over, think again! Today is Cyber Monday and that means that you've got another day of possibly incredible video game bargains to fight your bank balance with. Use this Cyber Monday video game deals guide to ensure you get the the cheapest gaming laptops, PC hardware, best prices on PS4 consoles, the cheapest Nintendo Switch Cyber Monday bundles, and the best Xbox One S deals. In this enormous guide to all the best Cyber Monday video game offers, we've got something for everyone. Don't buy any video games this Cyber Monday until you've had a good look at the bargain consoles and games below. Click on the links below to go directly to the Cyber Monday console deals of your choosing. Whether you're in the market for a new cheap Nintendo Switch, a bargain PS4, a high-end gaming laptop, or an Xbox One X bundle, we've got what you're after this Cyber Monday. There probably hasn't been a better time to pick up a PS4 if you've been waiting five long years to do so. There are also some amazing PSVR deals to consider. The Cyber Monday PS4 Pro deals are already live, with more and more offers being added all the time. The PS4 Pro is two years old now, so there will likely be some great offers on Sony's 4K-capable games console. As well as some great Cyber Monday PS4 Pro deals, you should keep an eye on the PS4 game deals and discounted PS Plus memberships. If you're in the market for a new DualShock 4 controller, Cyber Monday might be the best time to buy one. The PS4 Pro is the ideal console if you're looking to play Sony's big exclusives in 4K. God of War, Horizon Zero Dawn, and Spider-Man all look amazing on the PS4 Pro if you're using a shiny new 4K TV. 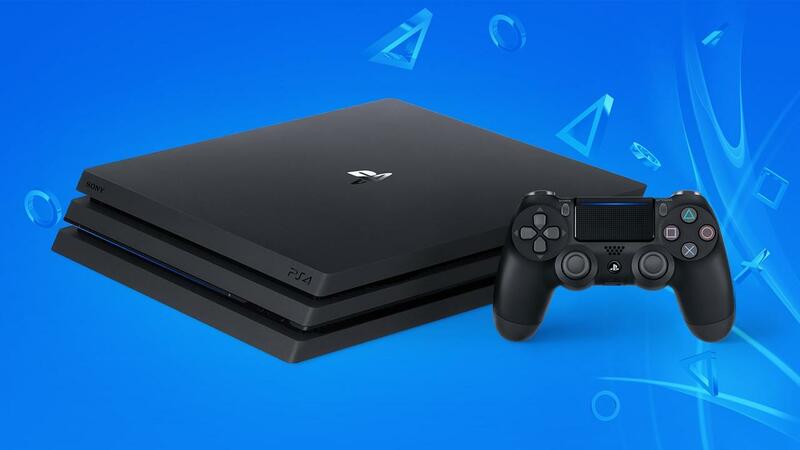 Below we've got the best prices on PlayStation Plus, which is more or less essential if you're buying a PS4 or PS4 Pro. If you're after a standard PS4 Slim, these are the best deals available in the US and the UK. We'll update this list throughout Cyber Monday. The PS4 Slim is still an excellent buy if you're looking to get into video games or have been mainly an Xbox or PC person for a few years. The $199 deal for a PS4 Slim with Spider-Man can't really be beaten in terms of value for money, although seems to be sold out everywhere. We've left it on the list in case it comes back in stock. Some of these PS VR Cyber Monday deals are brilliant! Some of the best Cyber Monday PS4 deals over the Cyber Monday period may well be for the PlayStation VR headset and games. We've already got some brilliant deals, so check them out below. PSVR launched at a pretty high price, but with some of the deals around Cyber Monday it's almost entered impulse buy territory. Recent months has also seen the headset gain a number of high quality titles, including the excellent Astro Bot, Moss, and Beat Saber. 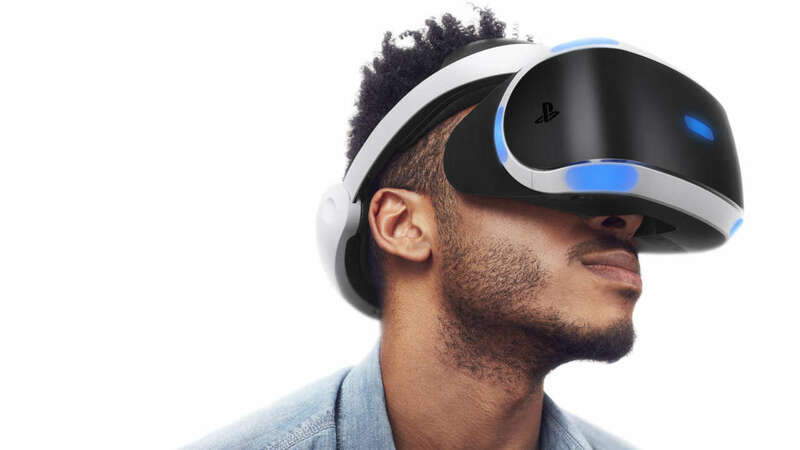 While PSVR still has some issues (the fact you're tethered to the PlayStation 4 and your TV via a cable isn't great), but VR is a big departure from 'normal' gaming if you've been playing games for a long time. There are some excellent deals for PSVR in the US and the UK, so take a look at the offers below. It's worth noting that while PlayStation Move Controllers aren't required (in most cases), they do considerably improve the experience in most PSVR games. Something to think about when buying PSVR this Cyber Monday. Cyber Monday is already giving us some amazing deals on PS4 games. We'll update this list of the very best Cyber Monday PS4 game deals as the week progresses. These Cyber Monday PS4 game deals include some amazing prices on big games, such as the awesome God of War, Spider-Man, and Call of Duty Black Ops 4. If you're buying a PS4 for the first time you could pick a bunch of these and be set for a very long time. The Xbox One has been on the market for as long as the PS4, but it hasn't had nearly the same level of success. A disastrous launch (higher price than PS4 and less power) meant that the first few years on the market were tough for the Xbox 360 successor. These days the console, thanks to the Xbox One S and the Xbox One X, is seen in a better light, but as the underdog in the console war you're likely to get some extremely competitive deals this Cyber Monday. You can see the best Xbox One X Cyber Monday console deals right here. There are currently some great deals to be had on the Xbox One X + game bundles. The Xbox One X is one of the best consoles ever made. While it obviously has a power advantage over its rivals, it also bests them in other ways that might not be so obvious. The Xbox One X is tiny given its size, which is really something impressive when you see it next to your other consoles. It also runs with barely a noise, something that can't really be said about the PS4 Pro. If you're after a cheaper console this Cyber Monday, the Xbox One S is a good choice. 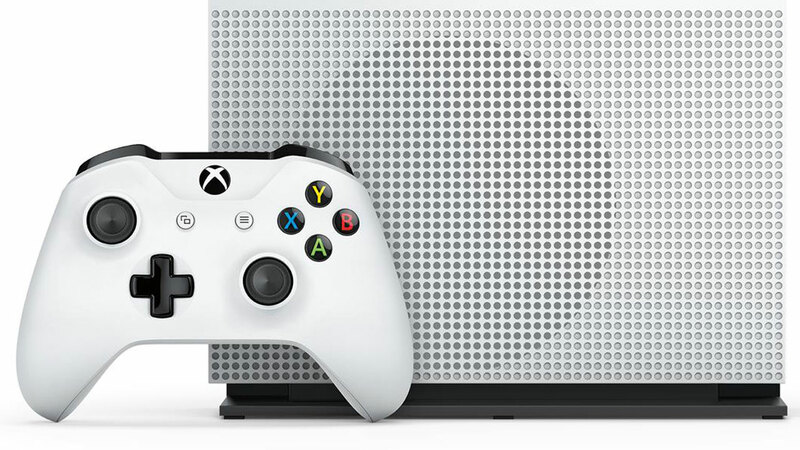 There are plenty of great deals on the Xbox One S this Cyber Monday, and we've rounded up the best prices for you just below. The Minecraft Xbox One S is an especially good deal at just £179 while stocks last, and the BF5 bundle is great if you're after a brand-new release. The Xbox Store has gone live with its Cyber Monday deals. These are now available for all Xbox Live members, although some prices are a little more expensive if you don't have Gold. We've picked the best of the bunch for you below. Prices are GBP, but US readers will be directed to the US store. There are also plenty of physical Xbox game deals over Cyber Monday. We've rounded up the best from the US and the UK just below. These include some recent big hitters, such as Forza Horizon 4, FIFA 19, and the Destiny 2 Forsaken Legendary Collection. Who doesn't love the Nintendo Switch? Nintendo will be hoping that a large number of people are only just loving it enough to want to buy one, with numerous great deals appearing over Cyber Monday 2018. Some of these Cyber Monday Nintendo Switch deals are for the solo Nintendo Switch console, while others are for the Switch and bundled games. While the bundles are often better value, they may not include the games you're after. If you’re mulling over whether you should buy a Nintendo Switch this upcoming Cyber Monday or opt for one of the bigger consoles (PS4 or Xbox One), here’s a brief breakdown of why the Switch might be for you. Portable - The Switch functions as a portable gaming handheld just as well as it does a console that plugs into your TV. This makes it great for commuters or for taking it with you on holiday. Nintendo Games - Nintendo only makes games for its consoles, so if you want the likes of Mario and Zelda, the Switch is one of the only options. The 3DS is a good choice too, if you’re buying for younger kids, but the Switch is far more future proof. Pokemon - If you want to play a new Pokemon game on your TV, the Switch is the only place you can do it. Pokemon Let's Go is out now and is great. The Cyber Monday deals for Nintendo Switch games are starting to heat up. A few deals are already available in the US and the UK, including a good price on FIFA 19 on Switch. Look out for more Switch game deals over the course of Cyber Monday week. If you aren't into consoles, you're probably a PC gamer. PCs and gaming laptops can be hugely expensive, so Cyber Monday is often a great time to pick up a bargain. Look out for some great deals on desktop gaming rigs and laptops, although be aware that truly great gaming laptops are expensive all the time, even on Cyber Monday. Before we get to that, you might want to consider a new Oculus Rift VR kit. It's on sale over Cyber Monday at a pretty tasty price. There are laptops and then there are gaming laptops. Don't get fooled into buying an average gaming machine simply because it's branded a gaming laptop. Hopefully Cyber Monday 2018 will see some nicely specced 1060 laptops with good screens and current CPUs. Anything less than that and you're not going to have the best time when gaming. It's worth noting that if you buy a gaming laptop with a high res display (1440p or 4K) you’ll need the GPU in the laptop to be up to the task. This will push the price up for gaming laptops, as you really need a 1070 or 1080 to run a display with a resolution that high. If you want to prioritise style, sleek form factor, and functionality over gaming, then the Surface Pros from Microsoft are a good option. Just below we've got the best PC gaming desktop bargains we can find on Cyber Monday. We've also rounded up the best deals on VR systems. If you're looking for a decent work laptop, or just something that can browse and let you do basic tasks, there is currently a great deal available at Currys PC World. At just £199 this is a brilliant priced workhorse machine for general use. Cyber Monday is a great time to buy that much needed GPU your PC has needed for at least 12 months. There are some good deals to be had and we've rounded up the best of the bunch just below. Cyber Monday will also see some amazing deals on peripherals, such as monitors. We've got the very best deals just below. 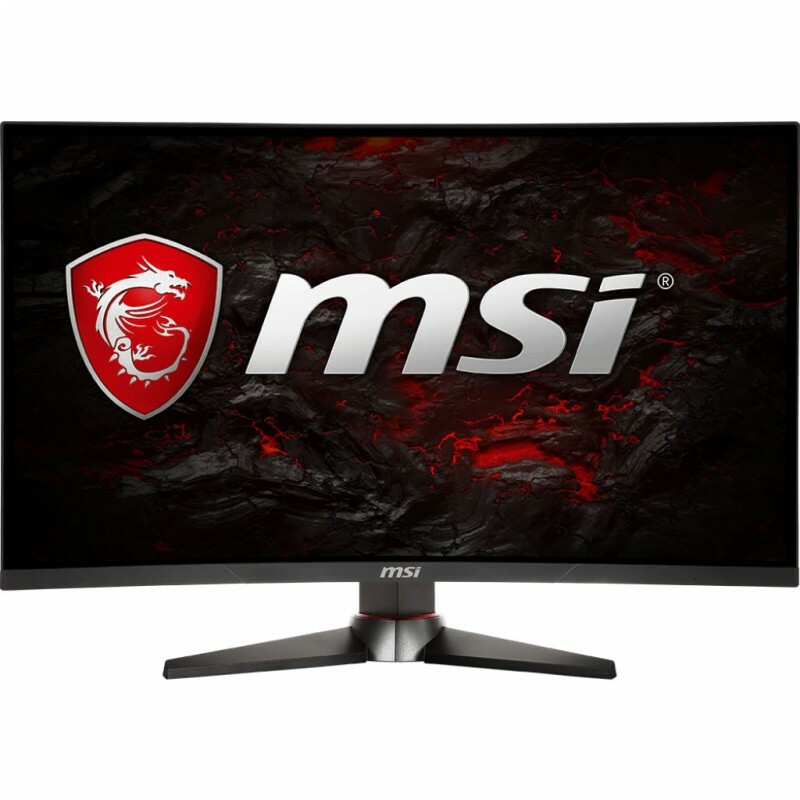 The MSI monitor below has a lightning fast response time, making it ideal of high end PC gaming. An SSD might not send a shiver excitement down you, but it's one of the best upgrades you can make to your PC if you're currently running a standard HDD. We've got some of the best SSD deals for you this Cyber Monday. You don't have to stick with the terrible keyboard and mouse that came bundled with your PC or laptop. There are loads of better made products available, and on Cyber Monday you can pick up a swanky new keyboard or mouse at a great price. We've got some of the best Cyber Monday deals for you right here. If you've bought a new PC or graphics card recently, you're going to want to get some new games to try it out. We've got a selection of the best PC game deals for you right here. 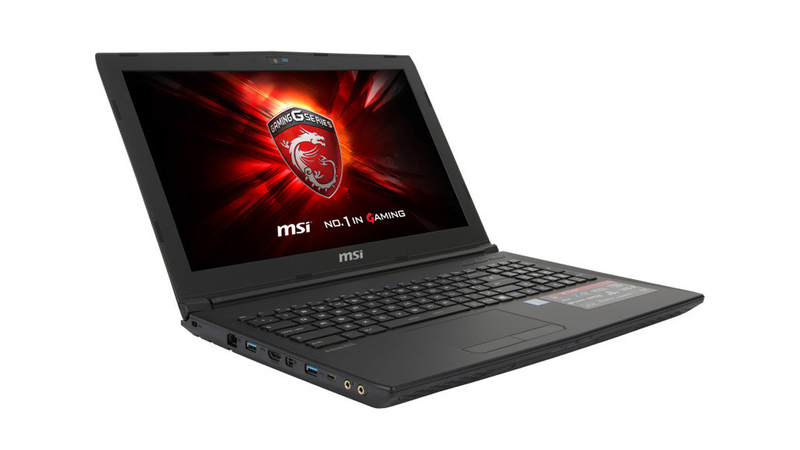 Is Cyber Monday the Right Time to buy a Gaming Laptop? The quick answer is yes and no! While there will be loads of deals for ‘gaming laptops’ over Cyber Monday, you just need to be careful that the machine is up to the job of playing new games. Like we said, you need at least a GTX 1050 in your laptop to run games adequately, and ideally a 1060 or higher if you want it to last you a while. Of course, you can crank the settings down to get better performance, but if you’re spending close to $1000 you’ll expect great things. If portability isn’t really an issue, you could opt for a desktop system, which will give you far greater gaming performance for a much cheaper price. Video games are great for lovers of merch, and Black Friday is a great opportunity to get your hands on some of that lovely desk-fulling stuff at a slightly cheaper price. On the site we've got the best deals on Fortnite merch, Zelda toys, Pokemon collectibles, Fallout merch, and Minecraft gifts. It's everything you ever wanted in the world of video game merchandising. If you'd rather some non-video game Cyber Monday deals, why not take a look at this great offer on the 3rd Generation Echo dot at Amazon. It's currently half price. If you're looking for deals on specific games, we've got pages outlining the best Black Friday prices for Call of Duty Black Ops 4, the best price for Spyro Reignited Trilogy, all the deals on Red Dead Redemption 2, cheapest Fallout 76 Black Friday price and the cheapest you can buy FIFA 19. Why is Cyber Monday called Cyber Monday? 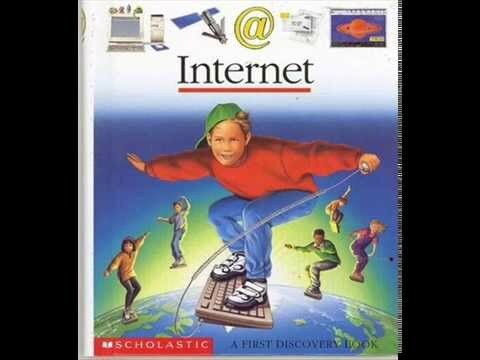 If you think the term "Cyber Monday" sounds like something out of the early Aughts, well, you're not wrong. The name was cooked up in 2005 by Ellen Davis, the senior vice president of the National Retail Federation. Cyber Monday was conceived to boost online sales in the days following Black Friday. That might sound a little funny since people nowadays shop online for Black Friday deals as feverishly as they hunt for brick-and-mortar deals. In 2005, however, dial-up internet was still quite common in the United States, and online shopping was still finding its legs with the general public. "Cyber Monday" helped familiarize people with online shopping (plus the name made it sound all cool and futuristic). Today we typically say "Black Friday and Cyber Monday" in the same breath. Whatever you want to call the Monday after Black Friday, expect some retailers to trot out fresh new deals for the occasion. Just think of it as one additional day to the Black Friday Frenzy. Tagged with Black Friday,	Deals,	Guides,	Nintendo Switch,	PlayStation 4,	Xbox One.